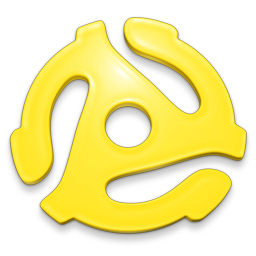 The Lost 45s with Barry Scott|Radio Programmers! Listeners are missing their favorite records not heard in years! They’ll find them on America’s Largest Classic Hits Music & Interview Library, “The Lost 45s with Barry Scott!" To be the market authority, you NEED this content! Don't let the 1% of hits dominate all others! This is the show everyone tries to copy! It's appointment listening for a fiercely loyal audience! Now is the time to air "The Lost 45s" weekly show & daily feature heard in more than 60 markets! Over 950 exclusive artist interviews! The largest TV, movie & news clip library anywhere! Anyone can play records; it's what we do around them that makes this show so special! INQUIRE now! 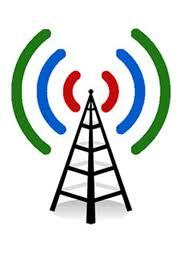 With so many options these days, content must be king in terrestrial radio! "The Lost 45s" has been on the air since 1981 playing charted records that no longer receive adequate airplay; most of them Top 10 million selling hits! Even core artists like Elton John, Fleetwood Mac, Rod Stewart, Paul McCartney and Billy Joel have "Lost 45s!" The show is available for barter in both weekly long form (3 hours: 6 local spots/hour; 5 national) and "Lost 45 of the Day" (2 spots; 1 is ROS) formats. We customize IDs and weekly promos for you! Distributed by Compass Media and Benztown. Non-barter options are available for international and non-comms! Listeners remember the show and the station airing the program because it's different! Your sales staff will love it because it's a sellable benchmark! Barry released a best-selling book and CD series internationally! He's appeared as a music expert on VH-1's "Behind the Music," CNN & Howard Stern. Barry is a proven online commodity, with 50,000 monthly impressions at lost45.com and over 35,000 social media followers! The show is often on national Top 10 lists! Give your listeners a treat: Something different on the radio! CONTACT us today! Hear about "The Lost 45s" from the artists themselves!